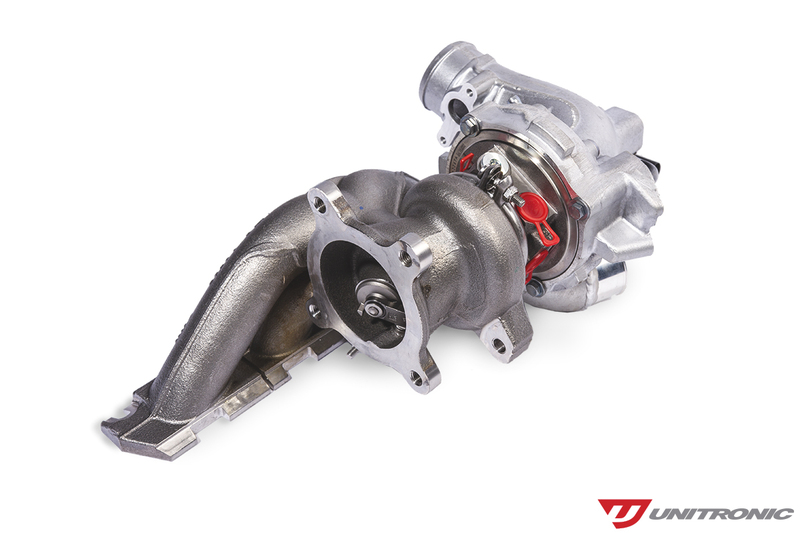 Unitronic's K04 Turbocharger Upgrade Kit for the 2.0TSI AVS is the perfect combination of performance, reliability, and drivability. 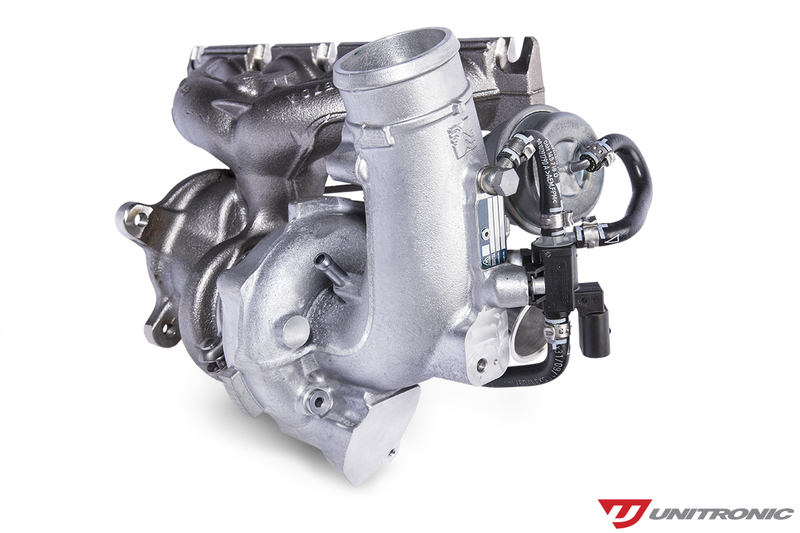 Unitronic’s K04 Upgrade Kit utilizes a genuine Borg Warner K04 turbocharger, originally intended for use on various European models with a transversely mounted engine. 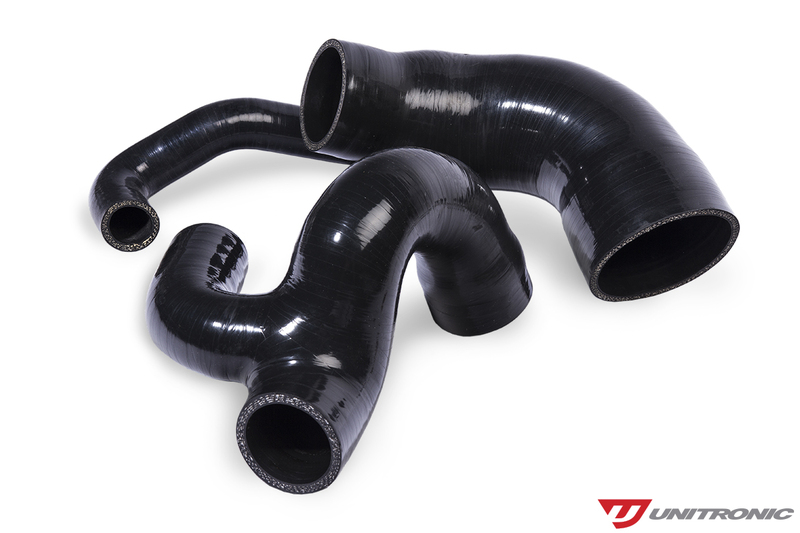 Setting itself apart from the competition and bringing additional value to Users, Unitronic has retooled the turbocharger’s compressor and exhaust housings to ensure a perfect fitment with Audi’s longitudinally mounted 2.0 TSI AVS platform, negating the need to include a specific downpipe/test pipe for use. Unitronic precisely recalibrated the ECU to optimize performance with its K04 Upgrade Kit and supporting hardware upgrades boasting an output of 335 HP / 300 TQ using 93 octane. Using a MAHA LPS3000 Dynamometer, Unitronic achieved 335 HP / 297 TQ (SAE J1349 correction factor) on its in-house B8 Audi A5 equipped with Unitronic’s complete Performance Hardware offering and corresponding Stage 2+ Performance Software for the 2.0 TSI AVS platform. Unitronic has also deployed specific software calibrations for Clients using the stock clutch featuring torque management strategies to increase the life of the stock unit. Deliver the power while maintaining your 2.0 TSI's AVS OEM appearance now!